The series explores what made the meal so distinctive and worthy, delicious and unique. Each show showcases the mesmerizing back story of food dishes, inspiration, people, culture and how the dish was developed and what exactly is the relevance. Find out the story behind the humble porridge to the cheesy pizza, the essential pancakes to the spicy curry and from the healthy salad to the decadent chocolate. Every episode will feature a dish or a style, where it started and was further developed, who was responsible and why it was inspired along with the recipe. So this March, get set to relish this one of its kind experiences with “Food Stories” as viewers will be salivating over it like, never before! 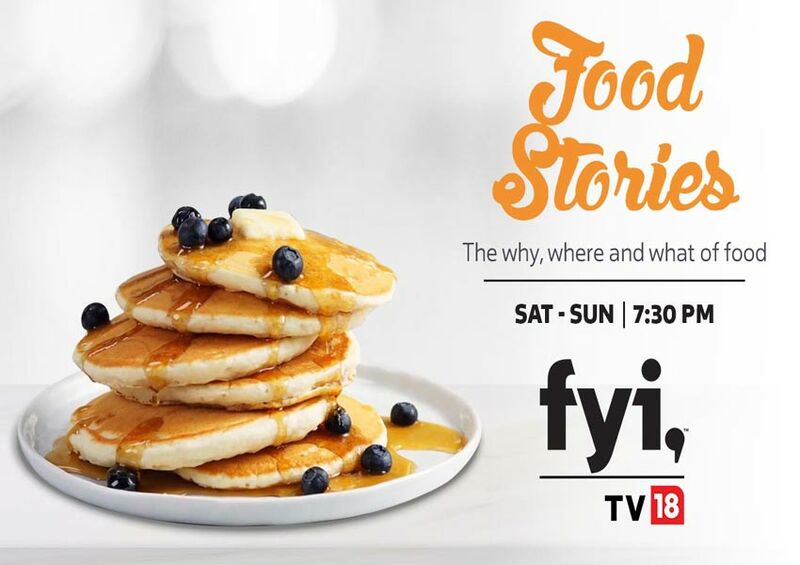 Tune-in to FYI TV18 for this all new series “Food Stories” every Sat- Sun at 7:30 pm.